When I was in Rome four years ago, I stayed at the Hotel Forum. I happened to be there on one of the rainiest springs that they had had in years. It was a very rainy and cold April. 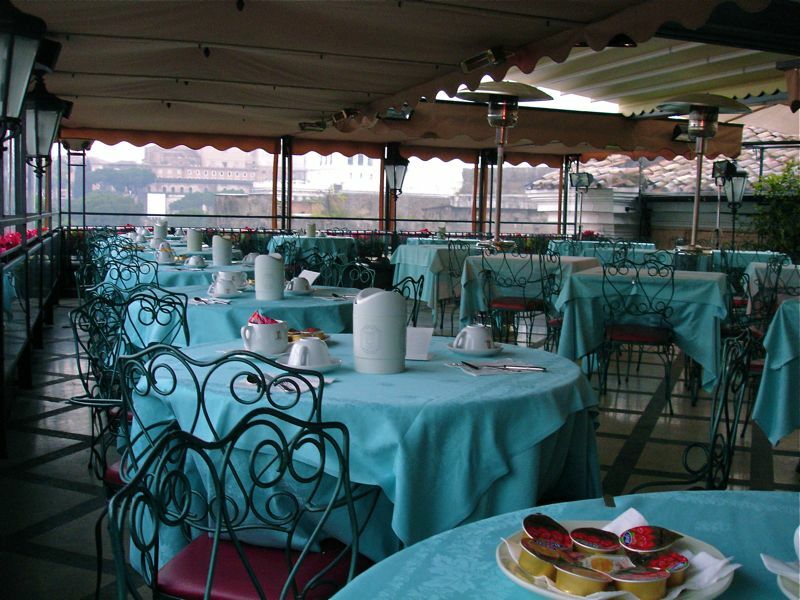 I went to the rooftop terrace for breakfast every day. I was usually one of the only people there and I enjoyed my morning meal even though it was awfully chilly. My room was really good on the fourth floor and I found a back stairway up to the terrace. I stayed for ten days which I guess was a long time compared to most of the other visitors. This photo brings back fond memories of my early mornings in Rome.